I work downtown and I am often looking for afternoon snacks around 3pm. Every now and then I want a smoothie so I'll switch between Jugo Juice and Booster Juice. Some might all hale the mighty kale smoothie, but some others might now all hale Jugo Juice for their gluten free treats. 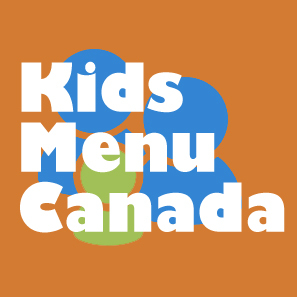 I recently noticed a few choice snacks from Jugo Juice that the Celiac community will be happy to know about as Jugo Juice tries to cater to the gluten free diet. 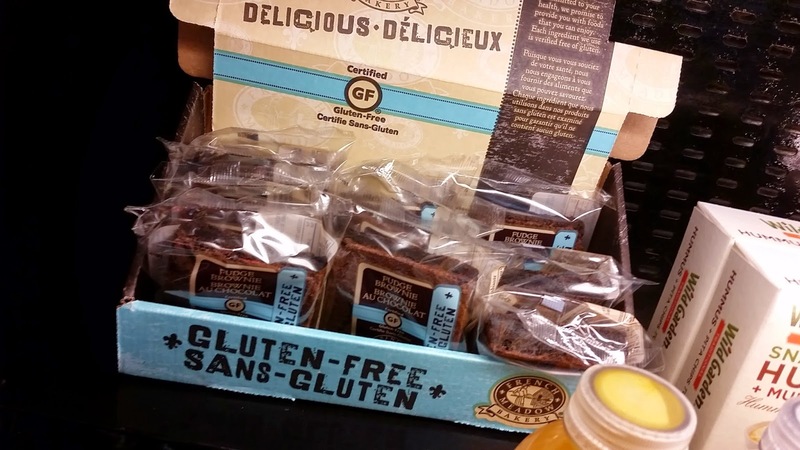 Some of the products you can see below are Pop Chips, Udi's Cookies and a gluten free brownie! 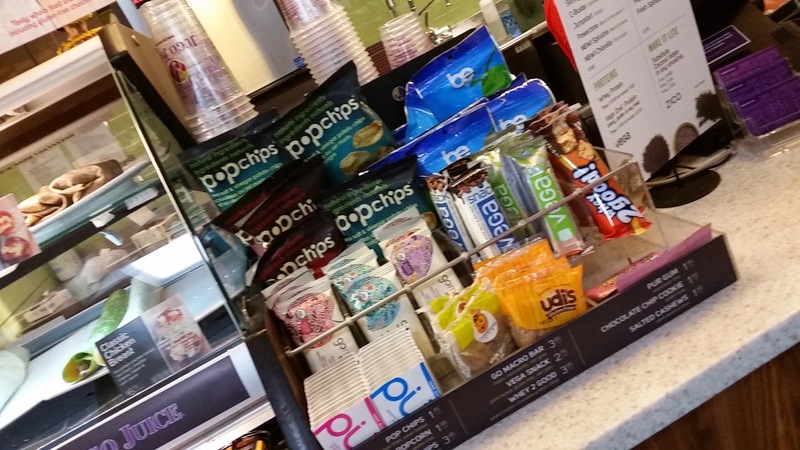 All single serve snacks great on the go for a quick treat, especially while shopping at the mall. 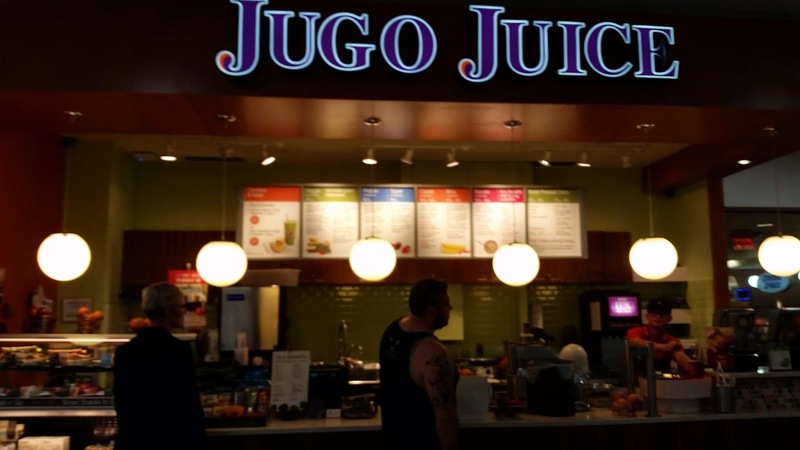 Are the juices and smoothies at Jugo Juice/Booster Juice safe for Celiacs? I have always avoided them - but sometimes need a pick me up at an airport or mall. I would say yes to both but don't add the boosters. Othewise, all they are adding is the fruits and veggies listed in the ingredients. I think Booster Juice adds yogurts. You can double check with Booster Juice also adds yogurts, but they should be good as well. Next time just ask them at the counter. Amanda has always had them without Boosters. She likes Jugo Juice over booster. I tried the brownie and didn't care for it. OK in a pinch, but not worth the calories in my opinion.